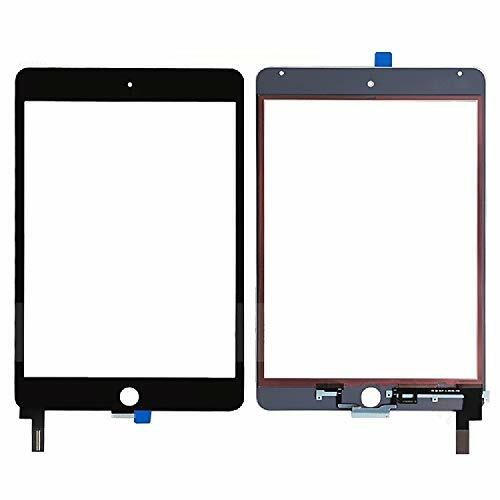 Generic Compatible for iPad Mini 4 A1538 A1550 Touch Screen Glass Digitizer with Repair Tool ,Adhesive and None Home Button. 1x iPad Mini 4 A1538 A1550 Touch Screen Glass Digitizer Replacement with Repair Tool. * Each touch screen was tested one by one with our board before shipping to make sure it works perfect on your device. * If you don't know how to install it, we suggest you to find a professional technician to do for you. Installation guide is not included. Please be sure you know how to install it before buying. * Please check the item before you start to install it. If there is anything damaged, please take photos and send to us, we will solve it for you. Otherwise, we are not responsible for any damage caused by installation of this replacement parts. * For any inquiries regarding the product or service, please contact us and we will try our best to solve your problem within 24 Hours. Please do not simply leave bad feedback as that helps no-one, simply contact us if there is any issue. Thank you for your co-operation. Thank you for shopping with us! Compatible with: iPad Mini 4 A1538 A1550 (Include Repair Tool,Adhesive.None Home Button). Touch panel and digitizer only. NOT include LCD Display. Each touch screen was tested one by one with our board before shipping to make sure it works perfect on your device, no scratch and dead area in LCD, And The parts pack with strong box, avoid damage during shipping way,save your money and time with purchase our parts. Check if the device could be power on before assemble the screen,if okay,then power off and tear off the protective film on the lcd and then assemble the screen.if not,release the ribbon cable and connect again. The scratches, letters or numbers on the screen will go away after the protective film is removed. 2 Year Warranty, 30-Day return policy, so you can feel comfortable with your purchase! If you have any questions about this product by XRmarket, contact us by completing and submitting the form below. If you are looking for a specif part number, please include it with your message.